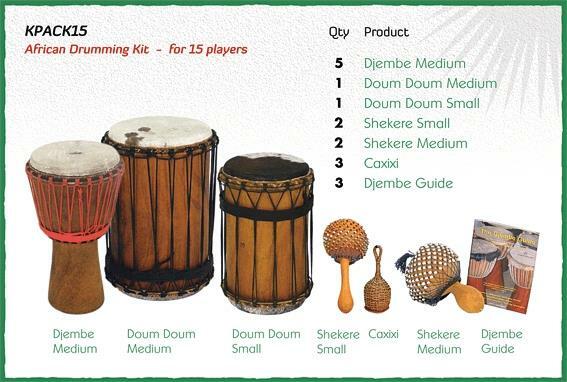 Classroom African Drumming Pack for 15 players.The Brand of Djembes supplied will be Kambala or Bucara, depending on availability. Woods used vary, but the main woods used are ethically sourced niagon, acajou or cedrela. Iroko or lenke wood is used for special drums. 2	Shekere Small - 5"
1	Shekere Medium - 7"